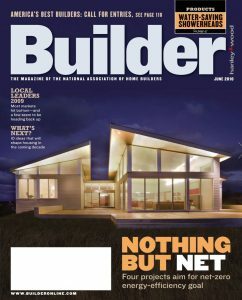 The award-winning Truro residence, a Cape Cod green home designed by architecture firm ZeroEnergy Design and constructed by Silvia & Silvia, has captured the June cover of Builder. The nationwide trade magazine publishes construction related news and content. The Truro residence’s development and construction is profiled in detail while photography by Eric Roth completes the feature, including the stunning nighttime magazine cover photo of the beach house. 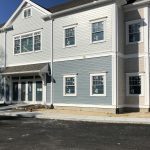 Read the Builder article here.